Hidetsugu Ueno (known to most as Ueno-san), legendary mixologist and owner of Tokyo’s internationally-renowned Bar High Five, has brought to life a new venue in the heart of Hong Kong. 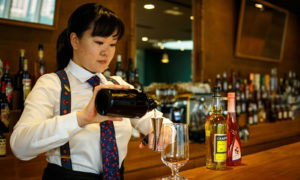 The Japanese cocktail bar, Bar De Luxe, will be spearheaded by Ueno-san’s protege, Yuriko Naganuma, who has moved from Tokyo to Hong Kong to take up the role of Head Bartender. Bar De Luxe launches as part of Attire House, a bespoke men’s tailoring and grooming venue that boasts a menswear outfitter, barbershop and cocktail bar under the one roof. Co-founded by Brandon Chau and Roger Chan, and designed by Japanese architect Jin Hikada, Attire House emulates the traditional old-world feel of a private club with European themes and Eastern sensibilities. 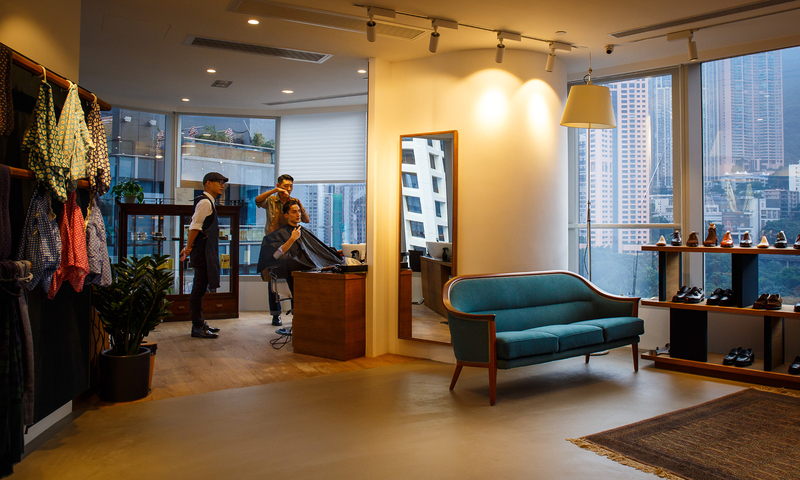 “Attire House is absolutely the first of its kind here in Hong Kong. This is a place for the cosmopolitan gentleman with discerning tastes to call home. Where better to introduce such a concept than in the gastronomy, travel and luxury lifestyle mecca of Hong Kong?”, Co-Founder Chau said. Not wanting to settle for less than the best, Co-Founder Chan said he approached Ueno-san multiple times before successfully coming to an agreement. 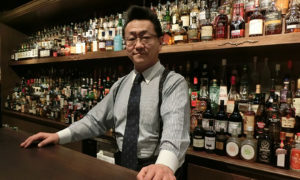 “Let me just say, Ueno-san is living legend in the word of mixology and cocktail bars. Not only is he and Bar High Five my favourite bar in the world, but I could only imagine how many people have approached him to do a project overseas. I flew to Tokyo several times to persuade him to open a bar together in Hong Kong – and turns out, around the fifth time was the charm. I kept telling him there was no “Plan B”. Of course, the effort was well worth it, and we are so excited for Hong Kong to finally get a taste of what they’ve been missing out on in Tokyo,” Chan said. Those wanting to get a taste of Ueno-san’s creations will revel in the news that he will be visiting Hong Kong from 22-25 January 2017, and will be the resident mixologist at Bar De Luxe from 23-25 January during evenings periods. Ueno-san’s protege, Yuriko’s bartending career originated as a means to earn some extra income while she studied photography, but she soon discovered a love for the industry. Whilst taking part in international competitions, Yuriko sought mentorship from Ueno-san, following him from Melbourne to Tokyo. Naturally, when it came time for Ueno-san to appoint a Head Bartender for Bar De Luxe, Yuriko was his choice. 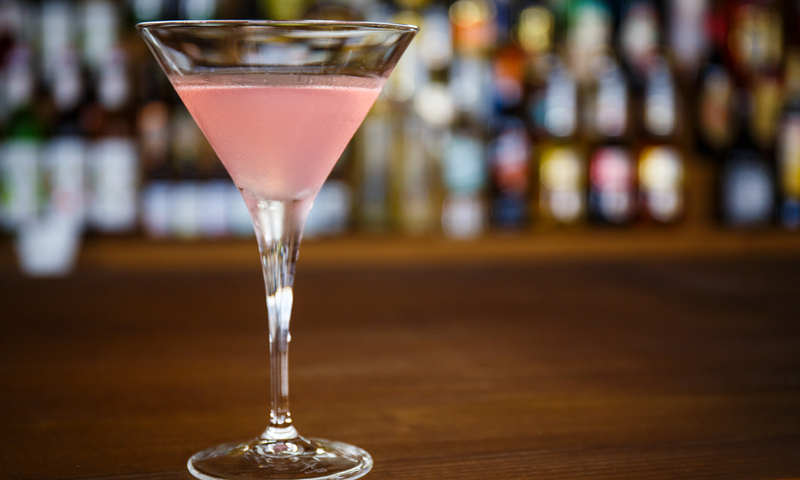 Yuriko brings to Bar De Luxe a high standard and an innate talent for combining flavours. Yuriko has created cocktails exclusively for the venue, including the Hidden Gem, made with Nikka from the Barrel Whisky, Japanese Yomogi herb liqueur, Averna Amaro and sugarcane sugar syrup. Yuriko also mixes bespoke creations based on individual tastes and moods, such as the Full Bloom, bringing the experience of Japan’s Spring to the tastebuds by combining either Kirin Fuji Sanroku Whisky or Bulldog Gin London Dry with bespoke cherry blossom liqueur, Luxardo Maraschino, and lemon juice or homemade roasted tea bitters. Bar De Luxe is open every day from noon onwards, located at 29-30F, 8 Wyndham Street, Central, Hong Kong. For more information, visit attire-house.com/bar.